After her studies as a designer at the Sujino Gajen Dressmaker Institute of Tokyo, Junko Shimada visited Paris, and being seduced by the city, decided to stay. This was in the late 1960’s and Junko Shimada was one the first of the Japanese designers to settle in Paris. After having worked in the Mafia Design Studio she entered Cacharel first as Chief Designer of childrenswear, then of menswear for six years (without for six years ...). Junko Shimada created her own design studio in 1981 within just a few years she was being celebrated by the press as the Ç most parisian of Japanese È. She opened her first boutique in 1984 on rue Etienne Marcel in Paris. She has about 20 exclusive shops for her main line and she creates luggage, glasses, scarves, kimonos and golfwear under different licensed brands. 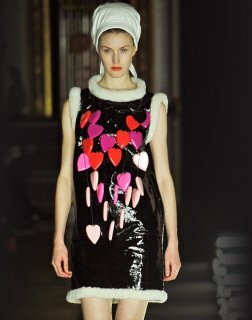 In 2001, she opens a new shop in Paris, rue Saint-Florentin, where her second line “Junk by Junko Shimada” is also presented.